James Collins is acknowledged as a leading Sport & Exercise Nutritionist. In elite sport he has worked with Team GB Olympic teams and athletes over three Olympic Games. 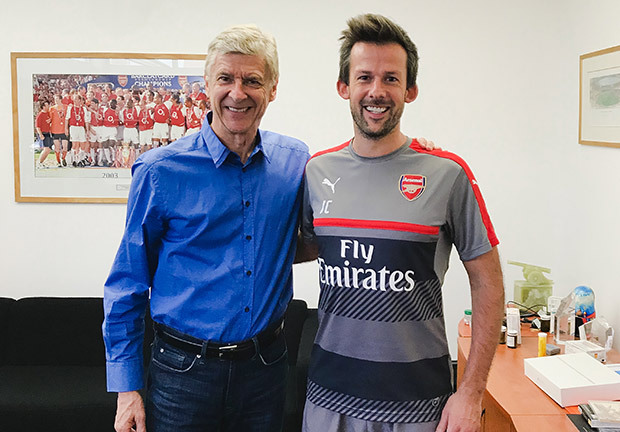 He joined Arsenal Football Club in 2010, where he spent seven seasons as Head of Nutrition, working with the medical and performance team, to develop the clubs first nutrition service. He has worked as a consultant with England Football, France Football (2018 World Cup winners) and is currently coordinating a team of applied scientists to produce the UEFA Nutrition Consensus, the best practice guidelines for football. He was previously elected President of The Royal Society of Medicine’s Food and Health Forum and has his own private practice in Harley Street (The Centre for Health and Human Performance), where he sees performing artists, business executives and clients from all walks of life, helping them to achieve their physical and mental best. After completing his MSc in Sport & Exercise Nutrition at Loughborough University and International Olympic Committee (IOC) Diploma, he was recruited to join The English Institute of Sport in 2006. James regularly collaborates with the media. He is columnist for The Telegraph, a regular consultant BBC’s Good Food brand and worked on the 2018 Sport Relief challenge. He regularly provides expert comment to the media on topical issues. He is a registered Sport & Exercise Nutritionist (SENr).